The fifth is a slight down hill par four with OOB down the right. Driver isn’t always the best choice as the fairway narrows. 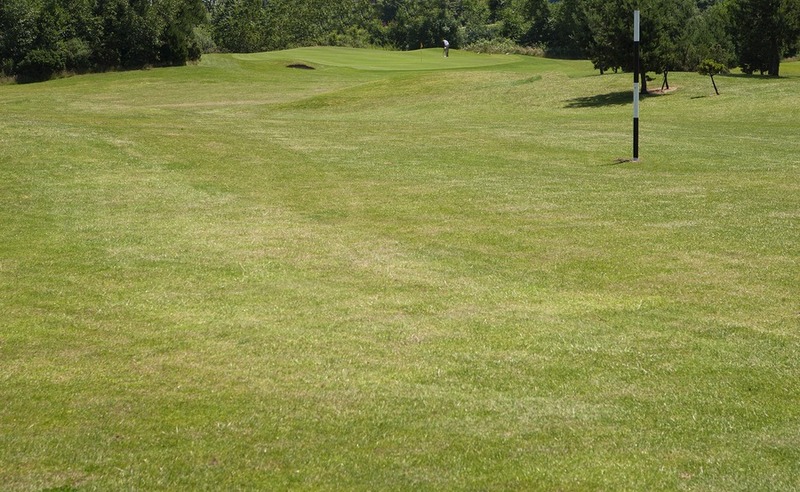 The green is large with copse to the left and pot bunkers to the right.